We’ve added a new addition to the B.C. Open Textbook collection. Description: This textbook presents core concepts common to introductory courses. The 15 units cover the traditional areas of intro-to-psychology; ranging from biological aspects of psychology to psychological disorders to social psychology. This book can be modified: feel free to add or remove modules to better suit your specific needs. 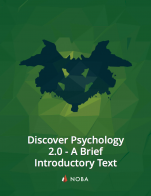 Discover Psychology 2.0 cover by Diener Education Fund is used under a CC-BY-NC-SA-4.0 license. Reviewers: As part of the release of these new open textbooks, BCcampus is actively soliciting reviews by qualified faculty from British Columbia, Alberta, Saskatchewan, and Yukon. If you would like to review this textbook, please contact us. We provide a $250 stipend to faculty who review a B.C. open textbook.